As Glen Fry said “the heat is on”. Heat can make life miserable and training next to impossible. Fear not. Just because the heat is starting to climb doesn’t mean that you have to abandon all the gains you made during the good weather. In this article we will talk about ways to help you get the most out of your training in the heat. With the temperatures we are about to encounter its easy for us to forget about our long term goals and focus more on the short term comforts. When I was preparing for an lronman race I had a training partner that would come up with all kinds of reasons for cutting a training session short or showing up late. I got to the point where my response was “any excuse will do”. One of our training sessions was a seven hour bike ride, in July in the Arizona heat and one hour into the ride I said “it’s too hot we are going to have to cut the ride short”. It wall like my partner had been waiting for this opportunity, rather than saying yes and jumping at the opportunity he said “any excuse will do”. Now I’m sure he didn ‘t say it because he wanted to ride in the heat but that’s exactly what we did and we both suffered immensely but we made it through. Later during the Ironman race, I ran into a little trouble with my body, but during that discomfort when I felt like giving up I kept saying “any excuse will do” and I kept remembering the hot seven hour bike ride to push me on to the finish line. Now I’m not suggesting that you push on even if it’s dangerous to your health. I’m just saying that if you are prepared properly and in a safe setting don’t let the heat become your short term excuse to keep you from your long term goal. So let’s talk about things we can do to help us train in the heat. Not surprisingly water is at the top of the list. Our performance drops significantly with just a little dehydration. There are many opinions as to how much water is enough water. 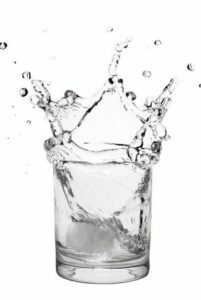 Perhaps the easiest way to determine if you are drinking enough is making sure that you are never thirsty. If you do feel thirsty you are already dehydrated. Water like most things is a habit. I did an experiment with my staff; we started a game at work that rewarded those that drank 1 00 oz of water a day (five 20 oz glasses). In the beginning, it was tough to drink that much but as time went on we started drinking more than the recommended. It wasn’t that we were thirsty our odies just started wanting it more. So how much is right during exercise? The easiest way to gage whether you hydrated enough is to see how long it takes before you have to urinate following exercise. If you drank enough before your workout and you had enough water during you should have to urinate within 1/2 hour of completion of your exercise. Another great sign is the color of your urine. If it’s clear you ‘re doing well. If it’s yellow you could use some more water. Water alone will not ensure that you will get everything out of your workout. Electrolytes are also very important. As we sweat we lose electrolytes so it is important to replace them. For workouts in the 30 minute range, a well balanced diet should be adequate. The more you sweat the more the need to replace electrolytes. The best source is not surprisingly supplied by nature. Young coconuts or green coconuts are filled with water. Simply open them and pour the liquid into your water bottle or if you don’t have the time to open them (any excuse will do) you can buy coconut water in a can. I use coconut water for all my long bike rides and runs. Commercial sports drinks are filled with sugar, salt and food coloring so while they may help there is also an internal cost to the body that you should not be willing to settle for. I can hear some of you now saying “coconut is fattening”. Trust me coconut water is not fattening! Cooked, canned coconut milk with all its additives may be fattening but pure coconut water is not. Commercial sports drinks are filled with sugar, salt and food coloring so while they may help there is also an internal cost to the body that you should not be willing to settle for. I can hear some of you now saying “coconut is fattening”. Trust me coconut water is not fattening! Cooked, canned coconut milk with all its additives may be fattening but pure coconut water is not. Celery is high in natural sodium which is the electrolyte that we sweat out the most. Consuming celery juice every day can help you tolerate high temperatures better. If you buy it in a bottle or can it has been cooked and will not give you the same benefits. One of the things I love about Dubai is the ease of getting fresh juice. So if you don’t own a juicer (if you ‘re training you should) head to one of the juice bars and have them add celery to your next juice drink. Eating celery is also beneficial; your body just has to do more work to get the nutrients out of it in comparison to juice. One of the first things I noticed when I switched to an all raw food diet was that I could handle extremes of temperature much better than when I ate cooked food. My wife and I had someone living with us that was eating cleaner than the standard American diet (SAD diet) and they thought the house was too warm in the summer and too cold in the winter while we were comfortable. Remember raw fruits and vegetables provide us with enzymes and it is our enzymes that control all the functions of our bodies. If you are eating cooked food your body will have to give up some of its enzymes to digest the enzyme less food, distracting other normal bodily functions such as temperature control. The water in fresh squeezed juices and in fresh raw fruits and veggies is even more beneficial to the body than water. Tea, coffee, soda and canned juice can actually leave you more dehydrated. High protein diets can also have a negative affect on your fluid levels. 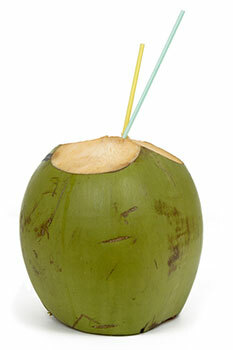 Try coconut water as your sports drink. Add celery juice to your diet. Eat more raw fruits and vegetables. If you eat cooked food be responsible and take the Windhawk Enzyme & Probiotic Formula. Dehydration causes free radicals so take a good anti-oxidant. Take our Multi Vitamin & Mineral Formula to replace electrolytes lost during sweating.